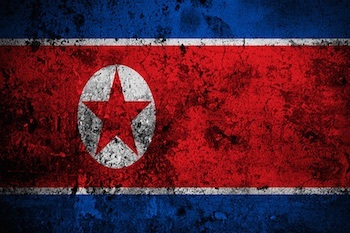 US federal prosecutors suspect the North Korean government directed last year's theft of $81 million from Bangladesh's account at the New York Federal Reserve Bank, according to a media report Wednesday. Citing unnamed sources, The Wall Street Journal said prosecutors were developing cases showing Chinese middlemen helped the North Korean government orchestrate the enormous theft from the Bangladesh central bank. In February 2016, thieves transferred the funds from Bangladesh's account at the New York Fed to accounts in the Philippines using authenticated international bank access codes in the SWIFT system, not by hacking the bank. It was unclear when or if any charges would be filed but any case might implicate North Korea without charging North Korean officials. The Justice Department and the New York Fed declined to comment on the report. The New York Fed over the past year has issued several statements, including joint statements with the central bank of Bangladesh and SWIFT, pledging to recover the stolen funds and enhance security of the payments system. One statement said officials "remain concerned about this event and recommitted to working together to recover the entire proceeds of the fraud as expeditiously as possible, bring the perpetrators to justice in cooperation with law enforcement from other jurisdictions, and lend support to multilateral international efforts to further protect the global financial system from these types of attacks in the future." However, the New York Fed did not respond to a request from AFP for comment on the status of the investigation. Researchers at the security firm Symantec previously had linked the theft to a series of cyber-attacks on the US financial system and the 2014 hacking of Sony Pictures.